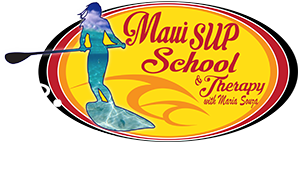 1 SUP Massage Session included with these 5 days of water training. Pictures and videos are also included with this lesson package. Posture/limitations assessment and muscle chart with exercise prescription to improve on SUP speed, posture, stamina, & recovery. The training will focus on stroke efficiency, cardio, start/finish sprints, water condition adaption, hydration and nutrition. 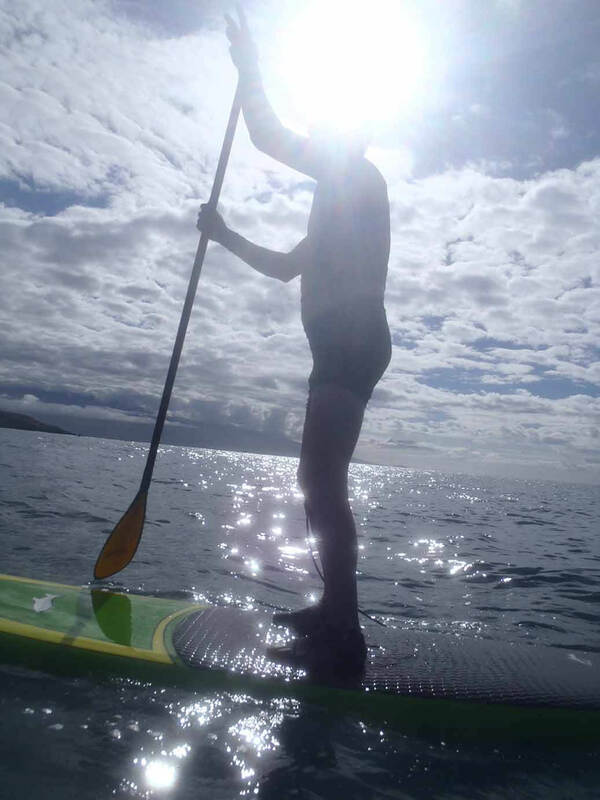 Day 1: Every SUP lesson will be tailored to the individual’s physical and emotional present state. 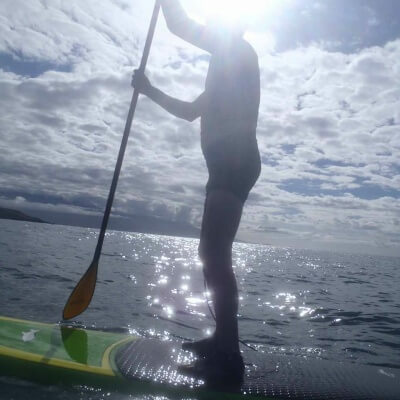 Instructions on correct posture, engaging your core using Maria’s famous SUP Therapy Technique, as well as turning techniques to make sure you are safe and having fun then and in the future! 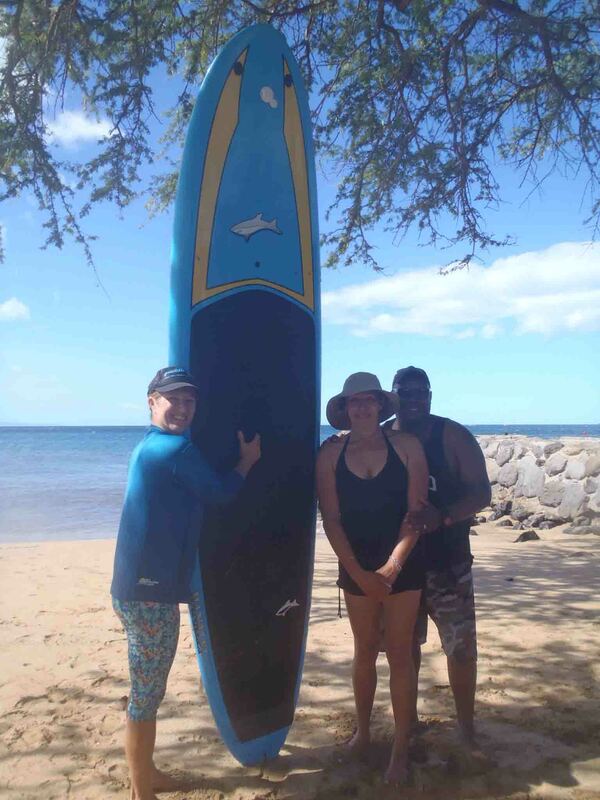 In addition to basic principles, we make sure that you are comfortable reading the Magic Maui Weather and Ocean. We’ll focus on getting you ready for day two, using drills to help you understand the difference between flat water and moving small waves. Day 3: We meet at 11am and go from point A to Point B, with the wind on our back for 2, 4, or 6 miles depending on weather conditions. This journey makes for an unforgettable adventure that you can scratch of your bucket list! 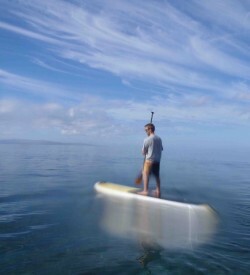 The downwind M14 foot Jimmy Lewis board that you will be using is specific for this activity, feels like a magic carpet. 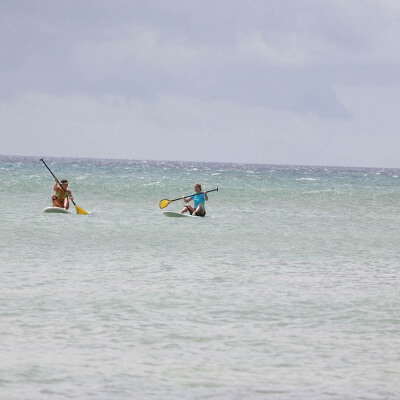 The area of this activity is the famous training ground for the most famous Hawaiian Channel Crossings. 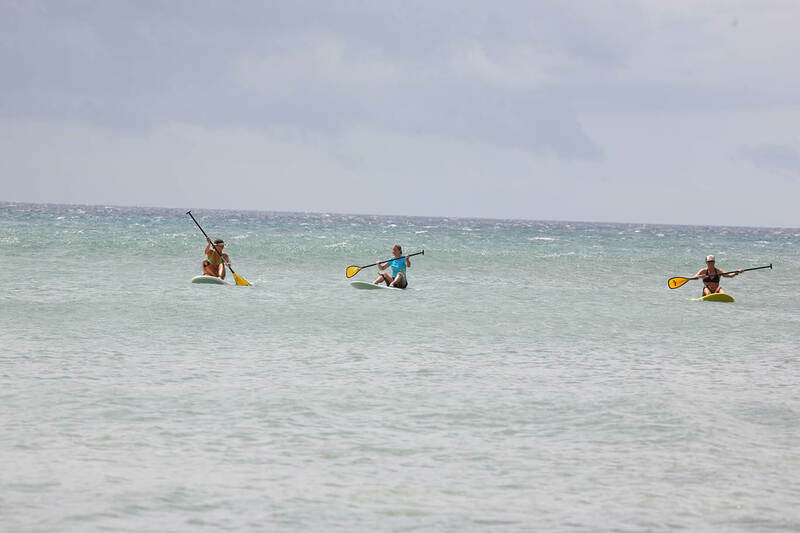 Day 4: A Stand Up Paddle Board lesson with a yoga twist! 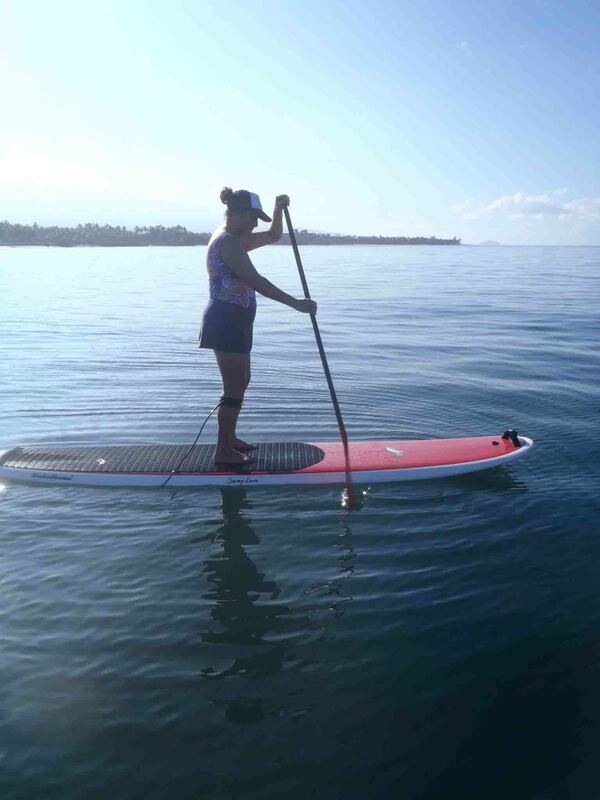 A Yoga instructor will lead you on an amazing experience using the SUP Board as your floating yoga mat. Using all the flotation you learned from the previous days, you’ll learn some yoga poses that are tailored to your physical needs and limitations, we’ll do pictures of all the poses in case you want to memorize your sequence or just share and show off! 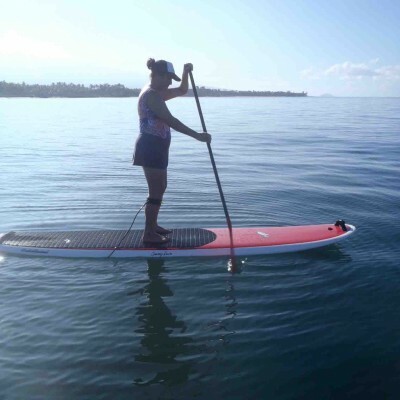 Day 5: We meet at 11am for SUP Therapy /Rehabilitation: Learn the adaptations and training for your personal progression, take it to the next level. Get ready to dominate the line up, or get ready for your next downwind run. You’ll be certified and ready to enter any race of your choice! Each lesson booked with us is private to your party and our instructor. Our lessons are the most exclusive because we do not combine reservations to create grouped lessons. 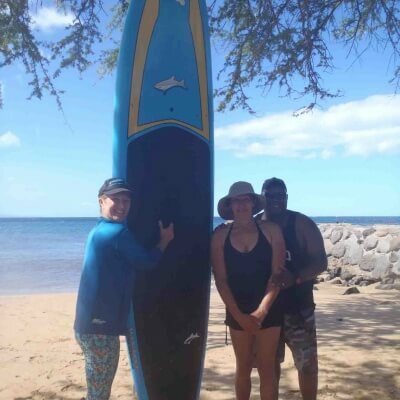 *Training for Races, Surfing bigger and more difficult waves, Downwind runs on different locations and conditions on Maui available too, EMAIL ME HERE…. * All participants MUST SIGN THE WAIVER HERE!